We turn down the lights and turn up the fun! 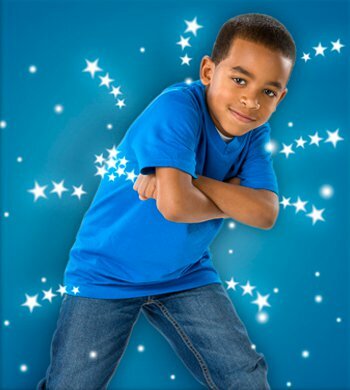 With all of our special FX, LED, and Glow lights turned on, it is a sure way to illuminate your child's imagination! It offers an exciting new twist to the typical open jump! *BE SURE TO WEAR WHITE OR NEON CLOTHES! 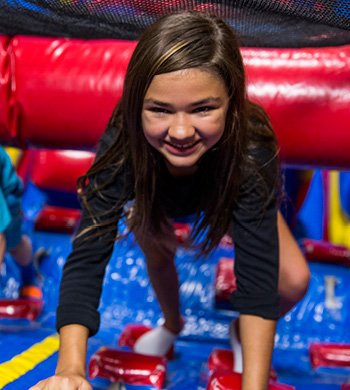 See our calendar for scheduled bounce times! 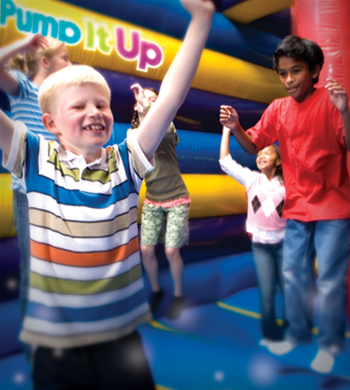 You and your child are invited to come and play on our giant, soft, fun-filled interactive inflatables during Pump It Up Open Jump for Pre K .
Children must be a minimum of 34" high in order to use the inflatables.